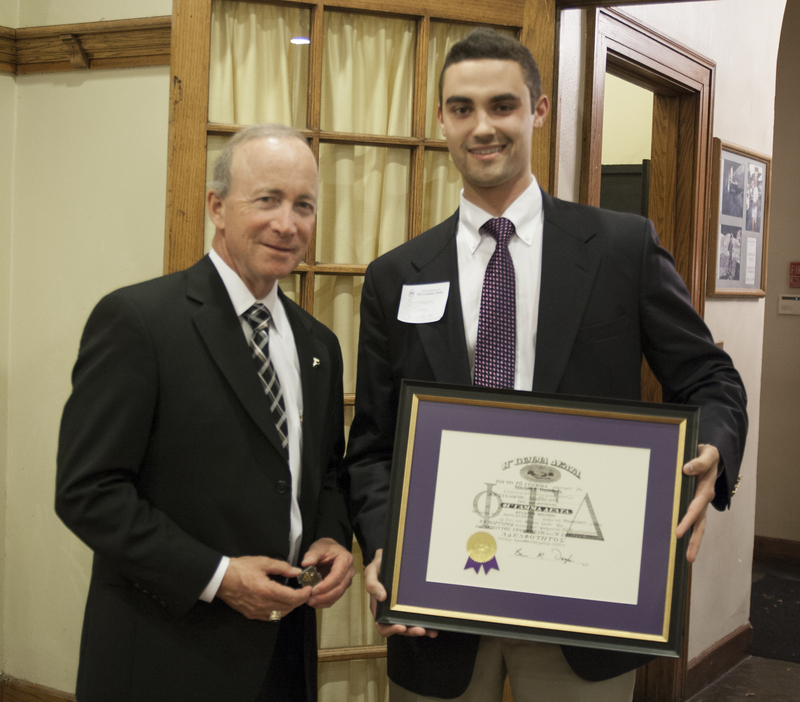 In a private ceremony on October 15, 2013, the brothers of Lambda Iota formally initiated President Daniels into Phi Gamma Delta at Purdue. Several high-profile attendees were present. We welcome this esteemed graduate brother and would like to share a few words from him about this experience. 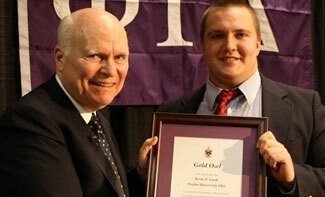 What does this new membership in Phi Gamma Delta mean to you? It was first of all a way to honor my late father, who was a loyal Fiji his entire life. Had I attended a school with Greek fraternities, there is little doubt I’d have been a Fiji four decades ago. What do you see in Phi Gamma Delta that you wish you would have had during your days at Princeton? I enjoyed the camaraderie at our eating club, but not the explicit value system or sense of shared purpose that I find at Phi Gamma Delta. What do you see in Phi Gamma Delta that you wish you could see in all Purdue fraternities? Our chapter is an academic leader, setting a great standard for other fraternities to try to match. How would you describe the current state of the Greek community at Purdue? It is strong, one of the nation’s largest and with very limited occasional exceptions a model of good student citizenship. The system polices its own members actively and effectively. Their members continue to play a central, disproportionate role in the life of the campus and in the overall success record of our alumni. What else would you like your Phi Gamma Delta graduate brothers to know about you? I still have my Dad’s pin (Allegheny ’44) and was initiated with that same pin. Photo Caption: Purdue President Mitchell E. Daniels, Jr. (left) is presented a certificate of initiation into Lambda Iota Chapter by Stephen Snow ’15.